I wonder how many people are old enough to remember the days of childhood when kids had the luxury of being “bored.” I reminisce of running through the neighborhood, climbing up hills, sitting with friends and having to come up with games and things to keep us occupied. Those days are long gone and life moves at a faster pace than I can keep up with. There is so much to do and so much less time to do it all. I have bills, things break (including things in my body! ), difficult conversations happen, and many days life is just not what I’d expected. What I’m describing is the inner state of about 95% of the developed world. We are a fast-paced, high strung, convenience-driven society, and it is a recipe for disaster! While infrequent bouts of high stress events can keep us alive – think fight or flight survival mode: if you encounter a wild lion, you WANT your body to be stressed, it just might save your life! – chronic low grade stress, on the other hand, can be of great detriment to our health. Whether the stress is environmental, emotional or physical, what happens when we interact with a stressor (positive or negative), is a series of biological adaptations, most significantly an elevation in the hormone cortisol. Hmmm, can you think of any other conditions that involve hormones? Diabetes is a condition where glucose levels are higher than normal. You'd most likely associate the hormone insulin with diabetes. But one of the effects of cortisol is to raise sugar levels to prepare the body to fight or run – meaning the hormone cortisol can contribute to high glucose levels. Too much stress can contribute to elevated glucose levels, or lack of ability to gain good control. This is one of the additional benefits of exercise – it helps mitigate the effects of cortisol. As you engage your body in physical activity, cortisol is reduced and thereby reduces sugar levels. Even though stress can often seem emotional in nature, the body is a cohesive unit and therefore we can experience a whole range of physical side effects, including inflammation. Unfortunately there can be a bit of a snowball effect in that stress causes cravings for unhealthy foods which will, if eaten, increase stress and inflammation. It can become a repetitive downward spiral. That's why we need to learn to respond to stress instead of reacting. It is interesting to note that many psychologists and psychiatrists have been very surprised at how much easier our circumstances have been when compared to other ages in history, and yet we have a much more difficult time dealing and coping with them. This is not to belittle your hardships, but truth be told, much of what we are stressed about is trivial compared to things like typhoid fever, the plague, empirical harsh rule and oppression, slavery, and fear for our lives! What I’ve found in reading about history through journals and accounts of men and women who have suffered in such ways, is they had much better coping mechanisms than my own. What matters is not so much how bad the circumstances are as your response to those circumstances. It's certainly not easy but we can choose (and learn) to respond better to stress and the way we look at things. This is hard for many people, especially women who want to please everyone. If you aren’t well taken care of, how will you do a good job with the things you are committed to? Figure out the things that are most important and necessary in life and give your time and energy to those. 2. Be Careful When Watching the News. It’s good to know what’s going on in the world, but much of the time, news isn’t just the facts, but stories with dark and dramatic twists and spins designed to engage you emotionally. Reporters know that fear draws attention–don’t give in to it! Prepare your mindset in advance. Many of the things we stress over are the same issues we’ve stressed over earlier that week, month, or year and those circumstances are likely to come up again. If you can do something about it, great–fix it! And if not, decide what a better response would be, and work to conform your thinking to that pattern. Consider the wonderful blessings in your life and spend some time thinking about all that is positive in your life. Sure, there may be negatives and concerns. But there are lots of positive things to be grateful for too. Focusing on the positive will not only help mitigate some of the negativity around you, but it will also help remind you of the great things you do have to be thankful for. Try to take a big step outside the picture you’re in and ask yourself whether it is something worth stressing over. Is it really as big of a deal as you’re making out of it? It’s also sometimes helpful to ask whether the stress is actually helping the situation – often you'll realize it is not. Finally, imagine a close friend or family member going through what you are and consider how you would advise them. Often times we are better at taking care of others than we are ourselves. Hello, I found I was a type 2 diabetic a year ago. Within in 3 months I was down to an A1C of 5.3, then three months later 5.2 and now it was 5.6 (some foods I been eating had a good amount of sugar). My whole life I been a stressor and just recently I was in a extremely stressful relationship for about 6 years. My diet was horrible. Can the stressing by itself cause type 2 diabetes? I keep thinking if I did not stress I would not have gotten it. I been a thin person my whole life which made it seem strange as well. Type 2 diabetes is a lifestyle disease, meaning it’s not one singular thing that causes but a myriad of lifestyle factors. A combination of stress, poor diet, genetics, and low activity could all contribute to the disease process. I just found out that I’m type 2. I’m 63 and also take Synthroid for my thyroid, Metapropol, Digoxin and Xarelto for my A-Fib. Could any of these medications be influencing my blood sugar level? I do need to start exercising and eating better as well. I was just curious about the medications. There aren’t any contraindications that I am aware of, but I am not a pharmacist and not very familiar with medications outside of diabetes. I would advise you to call your pharmacist and as him/her as they are the medication/interaction experts! Yes exercise and healthy eating are ALWAYS a win! Thank you for the outstanding post! Just a week ago i have been diagnosed with type 2 diabetes. A slow onset from Steroids i was on from a brain Tumor surgery 5 years ago. My hormones are broken. Also am high borderline hyperthyroid. I’m at 6.5. The recommended number for medicating the thyroid is 10. So therefore i am in a catch 22 situation. I am 40 lbs overweight. 72 years, reasonably active. Exercise at least 60 minutes a day, every day. Up until my brain tumor i participated in triathlons and running competitions. Now my balance is off so i am unable to compete. Can’t lose weight for better health due to the hyperthyroidism, so keeping the diabetes balanced becomes more challenging. Probably all new diabetics become obsessive about diet, excercise and Checking the glucose with 6 finger pricks a day. If i wake at 3:00 am, unfortunately often, i again check the glucose and Have a small snack to keep hypoglycemia in check for the Following morning especially. Ultimately my question is; is there a solution for my cath 22 problem? My normal dress size Has been 4-6 USA. This is not for vanity but to have a better quality Of life and to stay alive. What a rough situation–I’m so sorry to hear–brain tumors, hypothroidism, steroid treatment and diabetes are quite a lot to juggle, esp at 72. It sounds like you’ve made an accurate assessment of the situation and that based on your current options, you are weighing out risks/benefits. It may be the case that in light of your current circumstances, your goals and expectations for body weight may need to change to be realistic. Keep in mind that weight management is just one tool to support the bigger focus of health and quality of life. It may be beneficial to meet with an endocrinologist as well to help sort out the best plan for your hormonal disruption. I have read and reread this a couple of time now. I keep going back to the paragraph talking about stressful things in other time periods where it says, “difficult time dealing and coping with them”. I am now 70 years old and realize I never learned to deal and cope with things. I ate my way through them. I think before the times of convenience foods and snack foods that was more difficult to do. I know my dad and I could never get on the same page how to handle things. As life happened and situations arose He had an ability to just handle them. I always had to calm my anxiety, usually with potato chips, before I could even think about handling them. Today the poor habits are so entrenched it is really difficult. Consequently everything is stressful. 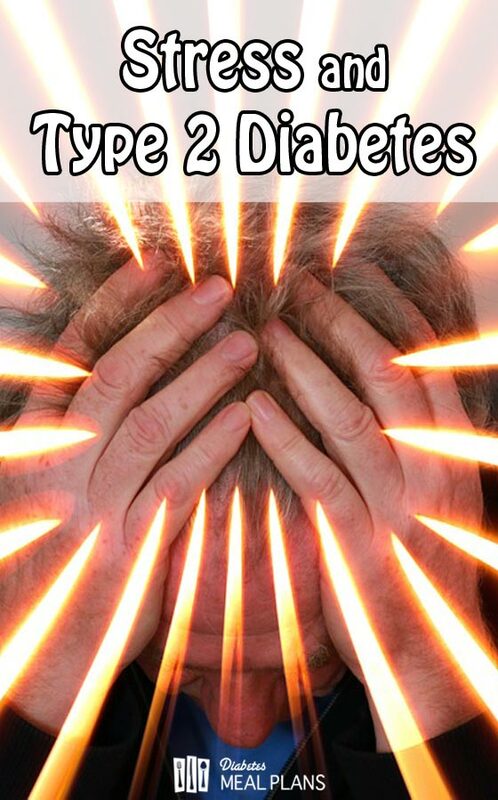 Now the diabetes raises the stakes even more causing even more stress. What a cycle!! Yes, it can feel like a bit of a cycle in that stress can fuel poor eating and vice versa, but remember it can also cycle in the opposite direction…improved eating habits improving stress responses and better moods motivating healthier diet choices and so on. The brain is very ‘plastic’ in that it can adapt to respond in new and healthier ways. It isn’t easy, but is possible–it’s never too late to start doing the right thing! Zero! No really. Cereals, cookies and ice cream are some of the worst foods for diabetics. Sorry to burst your bubble Patty. Read more info about cereals here. Also, have you taken our Free 2 Week Carb Course? Everything will make a lot more sense when you take this.